Working out has never been more scientific or sophisticated thanks to innovative class-style studios. Whether you’re into large or small classes, cardio or weight training, here are 5 trends that are hot right now. These days, fitness trends seem to be popping up faster than you can say Fitbit. Working out has never been more scientific or sophisticated thanks to innovative class-style studios. Paying hundreds of dollars a month for luxury gyms where you typically pay extra for all the amenities you donât use is a thing of the past. Group classes keep your wallet fiscally fit, keep you accountable to yourself and your peers, and ensure enough variety within each workout that you never get bored repeating the same workout over and over again. Whether youâre into a large or small class, cardio or weight training, here are 5 trends that are having a moment right now. If youâre a former athlete or just someone with a competitive drive, a little friendly competition could be exactly what you need to achieve your best workout. Nothing gets people motivated like knowing theyâre being monitored in some way, shape, or form. People are not only encouraged by their trainers or peers during a workout, but now there are classes that offer a more detailed look at your progress in real time. Flywheel is a cycling studio that keeps you accountable with a Torqboard, a scoreboard at the front of the class that the instructor will occasionally light up during the ride allowing you to see your own metrics as well as compete with others in the class. Orangetheory Fitness has a similar vibe in the form of treadmill/indoor rowing machines and weight training rolled into one class, where you're hooked up to a heart-rate monitor and you can track how high or low your heart rate is on a screen at the front of the room. And, yes, trainers will call you out by name if youâre slacking. Whether youâre competing with a friend or just your own previous score, youâll be pleasantly surprised how fast the time goes when youâre focused on getting the most out of yourself. The hybrid workout is quickly becoming one of the more beloved types of sweat sessions. Most people know that the combination of weight training and cardio in the same workout can produce considerably more benefits than using either training type on its own. But what about when you throw in a lengthening or toning element like Pilates or yoga? In workouts like Pilates Plus, you get the strengthening benefits of weight training, the non-stop movement of cardio, and the muscle lengthening and postural aspect of Pilates all in a one-hour class. Buti Yoga is a similar hybrid that fuses power yoga, tribal dance, and plyometric moves for a deep abdominal toning that works your body from the inside out. This workout will accomplish everything you need, from yoga and toning to cardio and fun dance moves. With these hybrid classes, you never get bored because you never take the same class twice. In addition to a heart pumping sweat session, their women empowerment and tribal aspect give a keen sense of community that make all women feel at home, which is something essential to accomplishing a great workout. Classes are offered in 32 states and 15 countries, from top yoga studios to internationally recognized gym chains including Hard Candy and Anytime Fitness. They also have online classes on their website. If large class environments with people flinging sweat two inches away from you isnât your thing, and youâre indifferent to the competition aspect, a smaller boutique class could be more your style. Unlike the mega workout conglomerate chains, these classes may take a little more research on your part. But finding that class or instructor you love will keep you coming back for more as well as give you that in-the-know feeling that makes you think your workout is the best kept secret. Most of these boutique classes are held in smaller studios and offer a more relaxed environment (without skimping on the body benefits!). Many of them incorporate props into the class. Trampoline classes are trending right now, where class goers have individual trampolines to work on. This form of exercise offers a lower impact cardio alternative to running or even cycling. Surfset is another boutique class that takes inspiration from the real movements of surfing to create a workout that builds balance, core strength, and aerobic conditioning. 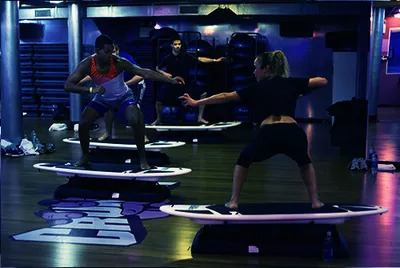 They literally created a machine out of a surfboard that delivers a 45-minute, surf-inspired workout that has the same benefits of working with a BOSU trainer at the gym. No matter what sport or pastime youâre into, thereâs bound to be a corresponding workout for you; you just have to look. 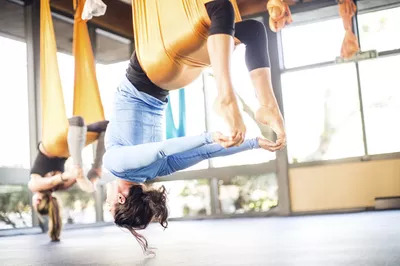 Aerial yoga and fitness classes seem to be popping up everywhere. They are classes practiced using a set of supported fabric slings that are hung from the ceiling, wall, or other foundational apparatus. People are drawn to this form of physical conditioning because it allows them to feel like they can âhangâ with the Cirque du Soleil performers. Some people refer to it as the âaccidental workout,â because it allows people to have a fun experience while simultaneously using their entire body to keep them suspended in the air for a long period of time. It also takes a lot of mental prowess; if you donât pay attention to the choreography of each move you might not know how to get down properly. 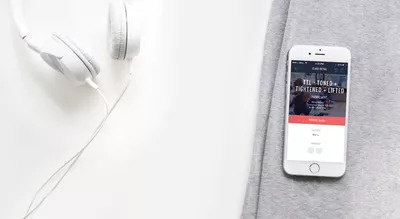 This one may not be a particular style of classes, but if fitness and technology got together, their offspring would be the thousands of fitness apps, trackers, and other online subscriptions and fitness DVDs that have grown in popularity in the last few years. The latest technological fitness trend that's growing like wildfire: ClassPass. ClassPass is an online monthly membership that allows its members to take unlimited classes at the best fitness studios all over their city for $99 a month. Whatâs the catch? Well, you can only visit any given studio three times per month. But, this gives you the opportunity to try out numerous different studios and keep your body from hitting a plateau because you will never get bored with all the options! For more workout and health tips, check outÂ Working Out and Still Not Losing Weight? Here Are 7 Reasons Why.